In my research I aim to develop theory to support applied problems. As Kurt Lewin (social psychologist) famously said: "There is nothing as practical as a good theory." My past research has primarily focused on the study of animal space use and movements in relation to environmental heterogeneity. For this work I have combined formal theoretical developments with the analysis of large spatial data sets. In my current work is an increasing emphasis on the explicit linkage of spatial ecological processes with human activities and the mitigation thereof to support ongoing ecosystem functioning. 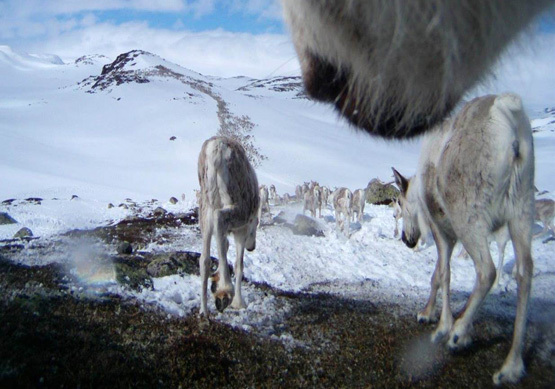 As part of the "Renewable Reindeer"-project, we are evaluating the effects of human infrastructures on habitat loss and fragmentation through graph-based connectivity measures. In the adaptive management of human land use in protected areas. I pursue further integration of ecological and societal dynamics in a Socio-Ecological Systems framework using approaches from Ecosystem Services and Environmental Psychology.